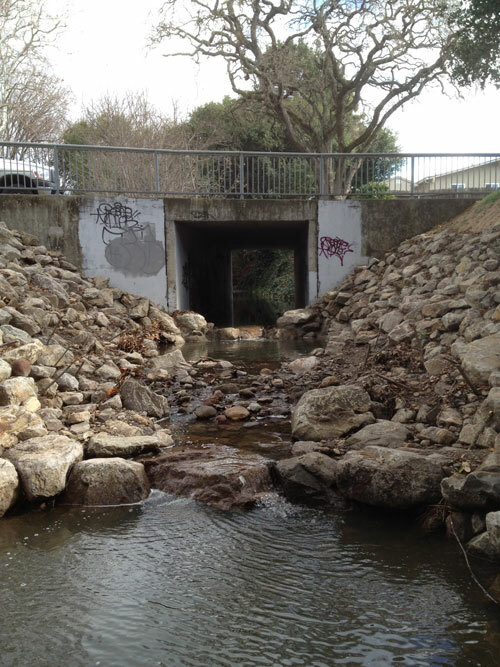 Erosion below the end of a box culvert led to unstable bank conditions and had drastically degraded a creek bed in Napa County. 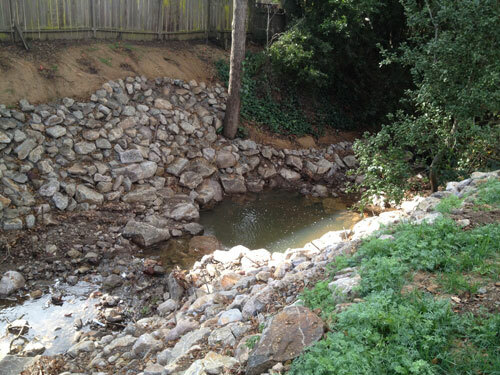 Thunder Mountain’s skilled artisans constructed an engineered solution designed to mitigate scour, restore vegetated banks and support aquatic life. 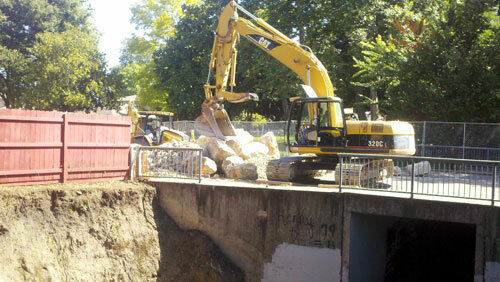 Because the only access to the sensitive creek area was from a bridge above the box culvert, operators had to carefully lower excavation equipment into the creek each day using a Cat 320. 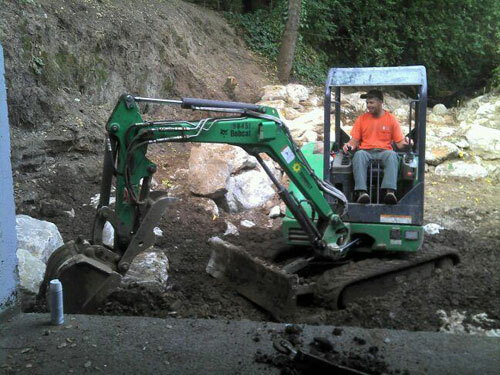 Under the oversight of a biologist, workers hand placed native boulders as large as 2 tons to create a series of scour pools and grade control structures. 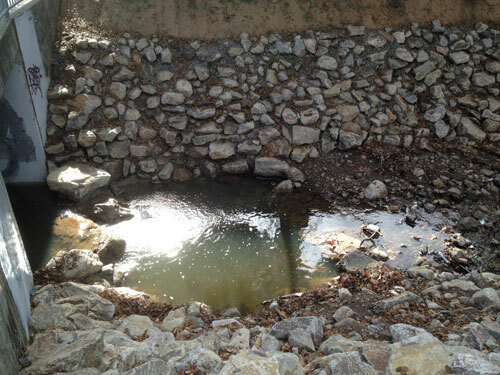 A grouted rock structure was constructed immediately downstream of the box culvert. 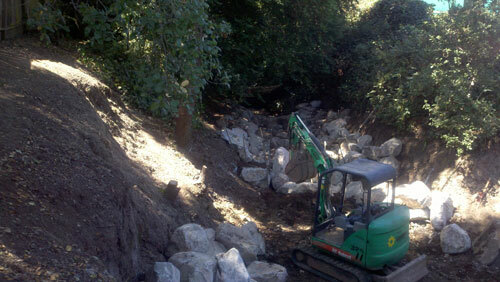 The creek banks were regraded and armored with riprap from the toe of the bank up approximately 30′. Live willow stakes were harvested downstream and placed throughout the riprap area. The tops of the banks were revegetated with a native plant seed mix and alder dee-pot plugs.